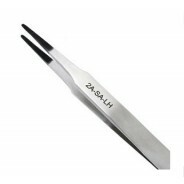 Tweezers (or Forceps) are an extension of our fingers and they allow us to grab, grip, place, remove or hold items that are too small or delicate for our fingers to manipulate. 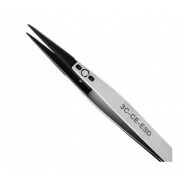 The size and shape of the items we grab, grip, place or hold necessitate the need for a variety of tweezer tip styles and shapes. 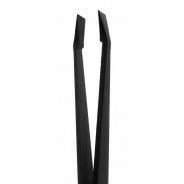 The tips can be flat, round, pointed, bent or square. 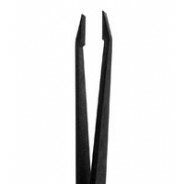 In addition, the tweezer bodies can be straight, bent, curved or angled for greater accessibility to the objects they are required to handle. 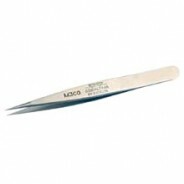 Excelta 4-Star Straight Tip ESD-Safe Ceramic Tweezers - 5.25"